Vacation Bible School ministry season is quickly approaching. This year, expand your vision to a cool theme perfect for building teamwork and the concept of God’s army. 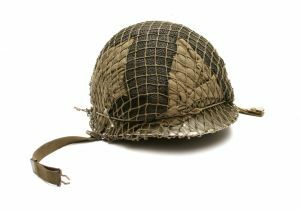 Try army-themed VBS ideas that will rock the socks of kids and stir their desire for a deeper spiritual life. Use army-themed VBS ideas to teach kids of all ages and excite your volunteer workers. Give your VBS an army theme like “A.R.M.Y. of God” which stands for Anointed Ready Mighty Youth of God. Pick a “Team God” and divide your VBS into teaching units like Warfare Prayer, Worship Warfare and Being Battle Ready. “Small Soldiers” or “B.R.A.V.E” which stands for Bold Ready Army for Victorious Engagement are also good theme ideas. Brainstorm with your ministry team to come up with more Army type themes for your VBS. Check out our free VBS curriculum called Bible Boot Camp. Buy a Christian flag and teach children the Christian pledge like soldiers learn the flag to the American flag. Before each VBS session, lead children in the pledge. Volunteer leaders could visit thrift stores in search of some good camo gear like jackets, hats and camouflage materials. For a simple outfit have women wear pink camouflage and gentlemen wear the traditional green. White t-shirts with your VBS theme printed on them are perfect for wearing jeans or camouflage pants. Shop around for some inexpensive camouflage baseball hats to give leaders as gifts. Remind leaders and kids to leave the plastic knives and guns at home. Avoid promoting the use of weapons which are not appropriate at your VBS. Plain or camouflage tents make the perfect outdoor classroom. Make the tent a special place for learning one particular subject like teamwork or sharing. Make giant bull’s eye targets and put a single word like “sin” in the center. Decorate the facility with camouflage balloons, netting and a fun cardboard truck front. Buy lots of ‘dog tags’ to give children as prizes and keepsakes of your army VBS event. The ‘dog tags’ should say “property of God’s Army” or “Property of God.” Tiny soldiers, whistles and badges are good prizes to give too. Teach kids lessons about purpose and destiny. Introduce important church concepts like unity and working together towards a common goal. Talk about putting on the full armor of God and being ready to serve God anytime. Use an Army VBS theme for an event kids will never forget. Need More Ideas? Learn how to plan a Vacation Bible School or read all our practical tips for Vacation Bible School. Tony Kummer (Editor) reviewed & updated this page on : June 21, 2015 at 10:44 pm. All our content is peer reviewed by our readers, simply leave a comment on any post suggest an update.